When I learned about one of the dolls I'm about to share with you, I became very excited. Maybe some of you already know about this already, but just in case, I'm going to blog about it today. 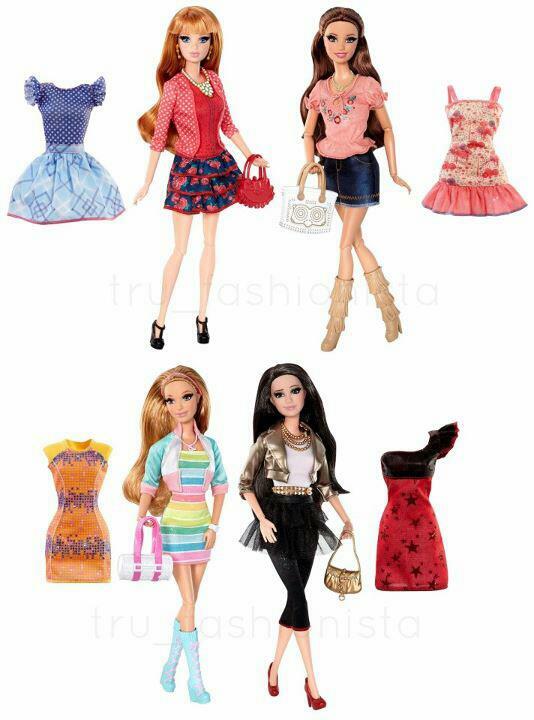 I found out about the new Fashionista dolls coming out around August later this year on Facebook. I couldn't believe my eyes, and a lot of us Barbie collectors have been wishing for this for a long time. Without further ado......the new Fashionista line coming out around August this year will contain a Steffie faced doll. How exciting is that? She will have one of the most sought after face molds along with an articulated body. I know that we can have that same combination now just by switching heads around, but it will be nice not to have to do that. Plus....her hair looks as if it's red too. One of my favorite colors for hair. Super super exciting. Here is a picture that was shared on Facebook. I wish the picture was a bit bigger so you could see each of these dolls better. 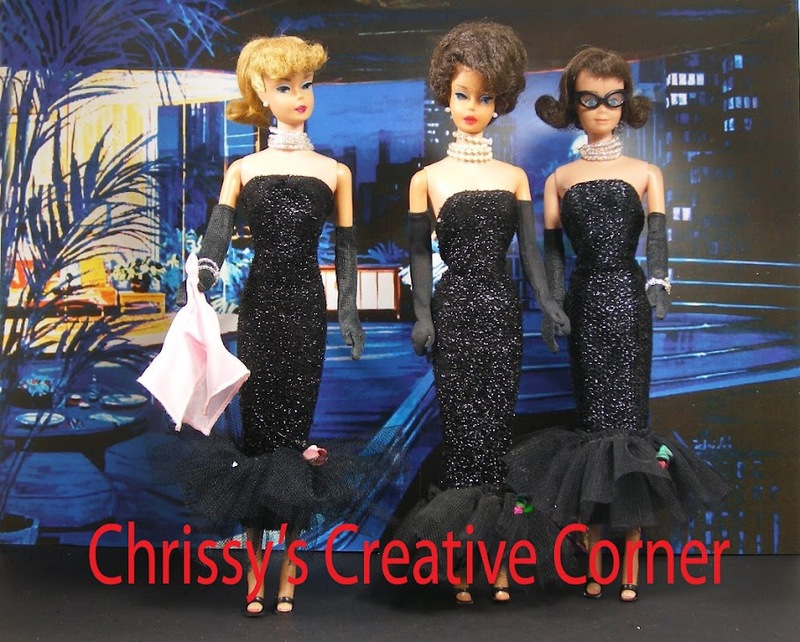 The girl in the top left of the picture is the Steffie faced Fashionista doll with red hair. I think her outfit is really cute too. I also love the other girls picture, but my next favorite girl is the one directly below the Steffie faced girl. I would love to hear which dolls you love the most. Thanks for stopping by and visiting me today. I can't believe I managed to create 2 posts in one day. Yaaaaaay!! I promise I'll really work on creating more posts next month, but in the meantime, this is a nice way to end the month of February. I hope you enjoyed both of my posts today. I really invite you to leave me a comment. 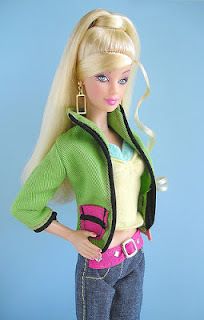 Today I thought I would share a little something about a Barbie doll I have in my collection. When I first saw her, I wasn't sure I was going to add her. I'm trying to be good and not buy too many new dolls anymore. The reason that I am slowing down with buying Barbie, is because I'm simply out of room. I've slowly but surely been downsizing for awhile now, but I'm really getting nowhere fast. Anyway, I did give in and buy this doll, and I'm so happy that I did. She is just so sweet and sassy at the same time. So....it's time to reveal the doll I'm talking about, which is the 2008 Happy Birthday Angel Barbie. Here are a couple of pictures I took of mine. See what I mean? Her pretty sweet face can also look like she is up to something all at the same time. I love the pale pink of her outfit she is wearing......and those ruffles on her skirt......too cute!! Her angel wings are removable too, and she looks really cute in other fashions as well. Here are a couple of pics that I've borrowed from the Internet. As you can see, she really is a very versatile doll, and I love her redressed. My doll is still in her original costume, but I'm sure considering redressing her. If I do, maybe I'll share more pictures of her here. I hope you enjoyed my post today. I really appreciate you stopping by to visit me. Please leave a comment for me. I know I've been missing in action lately. Life has simply just kept me hopping around with one thing or another. Hopefully everything has evened out and I can get back to sharing my dolls and crafting again.